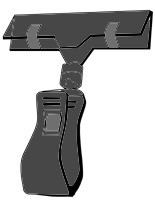 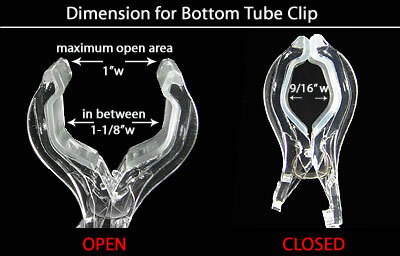 This clamp base sign clip comes in a set of 100 clear acrylic signage holders. 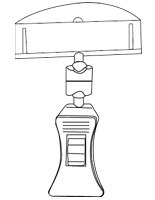 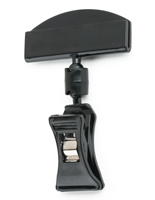 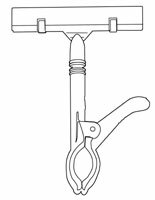 Ths dual-grip price holder features a bottom tube clamp that opens up to 1" wide to firmly grasp fixtures, merchandise, desks, counters or displays. 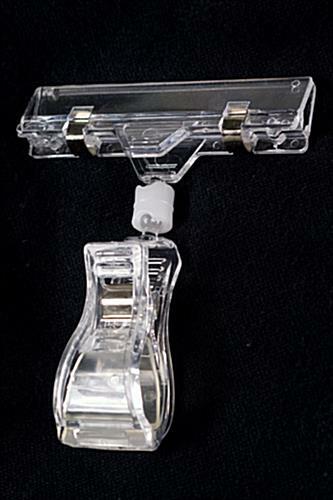 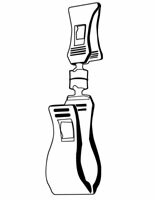 Each gripper-base sign clip is made of clear acrylic with a universal knuckle that allow the 3" wide top to swivel up to 360° for visibility. 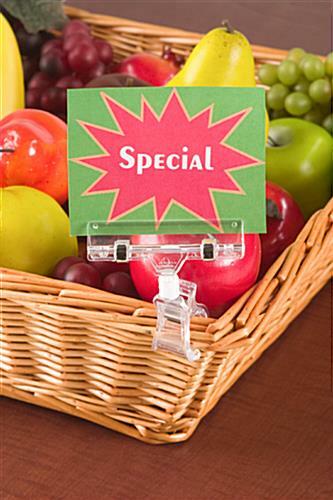 This simple, economy display accessory will hold signage up to 0.25" wide, making it ideal for attracting attention to pricing and other labeling in commercial and retail environments as well as at trade shows. 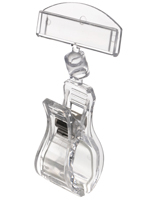 The clear plastic sign clip with 3" wide signage grip comes in a set of 100 for convenience and consistency. 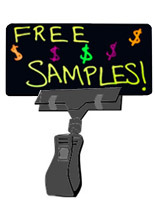 The neutral color is designed to focus the attention of customers to price labels, product identification, wayfinding and other informational displays in high traffic areas.